How to Add Music to PowerPoint? Do you still play the DVD on TV with the DVD player? It’s the old way, at present, more and more people like the portable devices, like the smart phones: iPhone X, iPhone 8, Samsung Note 8, iPad, etc. These devices are easy and convenient to take to anywhere, at anytime. Why not try to copy the multiple DVD movies to these devices for playing? VLC can realize this great goal, which is not a perfect media player, also can be the prefect DVD ripper, you can rip DVD with VLC smoothly. You can rip the DVD to MP4 in VLC, MP4 is the super star among the video formats, which can be wide used by most media players, portable devices, TVs, game console. 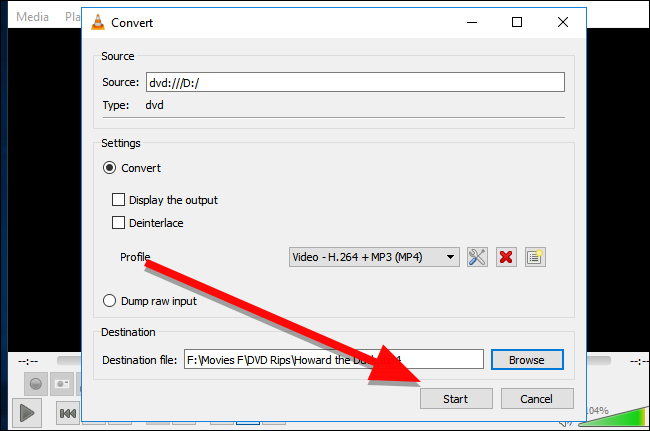 Following we will tell you how to rip DVD to MP4 in VLC. Step 1. When the the DVD disc and VLC software are ready well, insert the DVD to PC, open the VLC media player and load up the DVD you want to rip and start up VLC. Step 2. Then, under Media, click on Convert/Save. The Open Media window will appear and you want to click on the the Disc tab. Step 3. 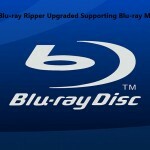 Check the DVD box, and make sure that the “Disc Device” field points to your DVD drive. Click the Convert/Save button to rip the DVD. Tip: At the Convert screen , you can choose the video and audio codec, for example: You can choose the MP4 video with H.264 video codec, MP3 audio format. Step 4. Back to the main Convert interface, click Start to begin ripping the movie. VLC can’t support the acceleration, you may need to be patient and wait for the result. Above steps are easy to do, yu cna get the desired MP4 videos quickly. Somre VLC users are not too satisfied with it, they complain that the only can get the limited video formats from the VLC, some MP4 video codecs are not compatible with the media player, in addition, when you want to rip more DVDs, you may need more time on the long waiting, even some users want to get higher video quality from DVD. 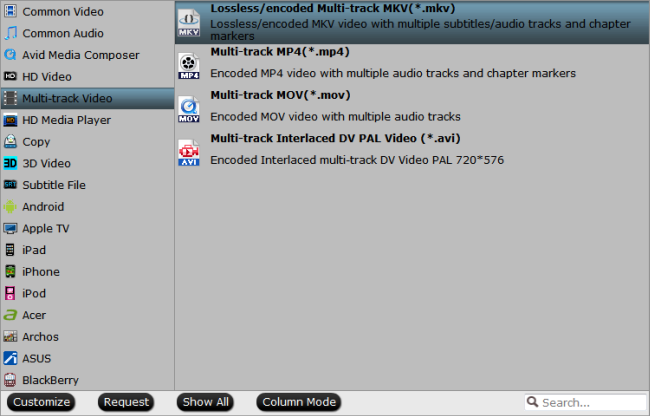 Getting the VLC alternative is the best option, I think the Pavtube ByteCopy can satisfy all your DVD need. You can load the DVD discs, DVD ISO/IFO images, DVD folder to it, the Blu-ray disc, images and folder can be supported too. You can get the multiple video formats from DVD, like MP4, MOV, WMV, FLV, H.264, H.265, VOB, etc. About 300+ videos are here. Remvove the DVD copy protection and copy the whole DVD disc, in other words, you can get the perfect DVD content without any quality loss. 3D fans benefits: You can get the 3D videos from the common DVD with different 3D video effect, like the Top-Bottom, Side-by-Side, etc. 1. You can get the free DVD ripper by choosing the Trial version, after the installation and open it, click “File” > “Load from disc” to load disc into the program or you can also drag the DVD file to this software directly. 2. 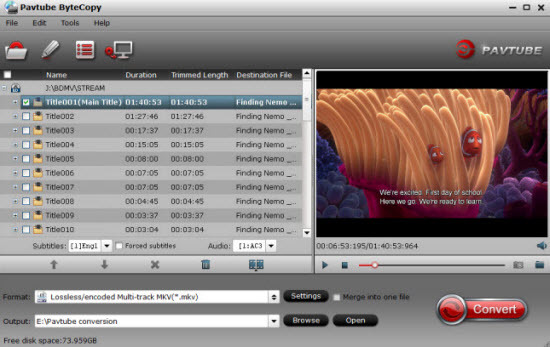 Click the Format button to open the output video formats, you can choose any video formats by your own need. For example: You can choose the HD MP4 video from the HD Video, you also can get the MP4 video from the Common Video. You even can choose the device preset and get the best video formats. 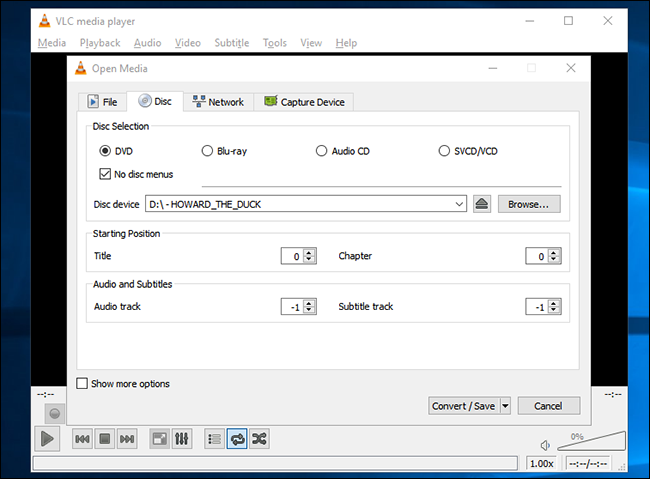 Tip 1: You can choose to convert the DVD/Blu-ray to lossless MKV format which keeps the video chapters, subtitles, audio tracks. You also can choose the popular MP4, AVI. WMV, FLV, etc. Tip 2: For 3D fans, you can choose the 3D MP4 video format which is wide used in most VR headset, like PS VR, Oculus Rift CV1, Google Daydream VR, HTC Vive, etc, even including the 3D TV. 3. Go back to the main interface and start the DVD to MP4 video conversion, click the Convert button, this software will finish all the difficult work for you. Conclusion: Which way do you like best? If you have installed the VLC on PC, you can try it. If you want to get more powerful DVD features, the professional DVD Ripper-Bytecopy is the best option. How to Watch 3D Videos on VLC? How to Sync the Audio in VLC?